AiClay - a Haven of Miniature Food: The story behind these hands. 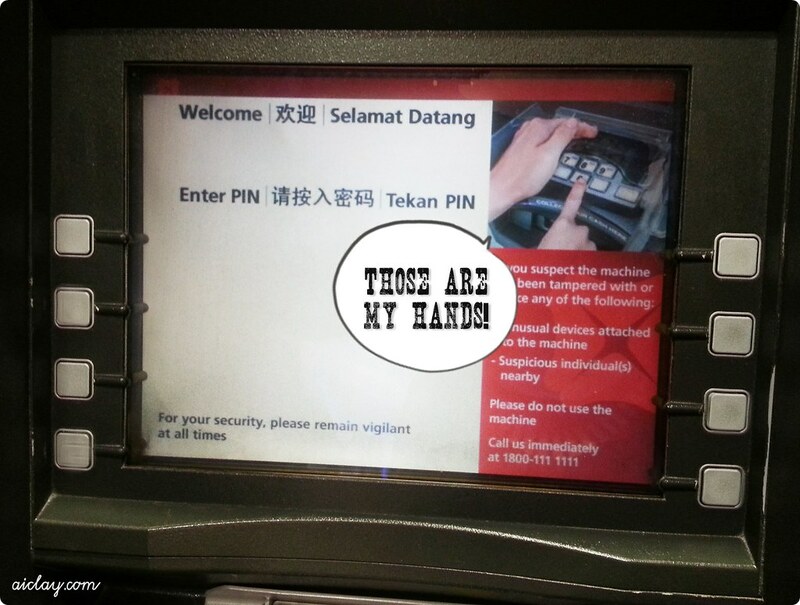 For Singaporeans, I believe all of you should recognise the machine pictured below. 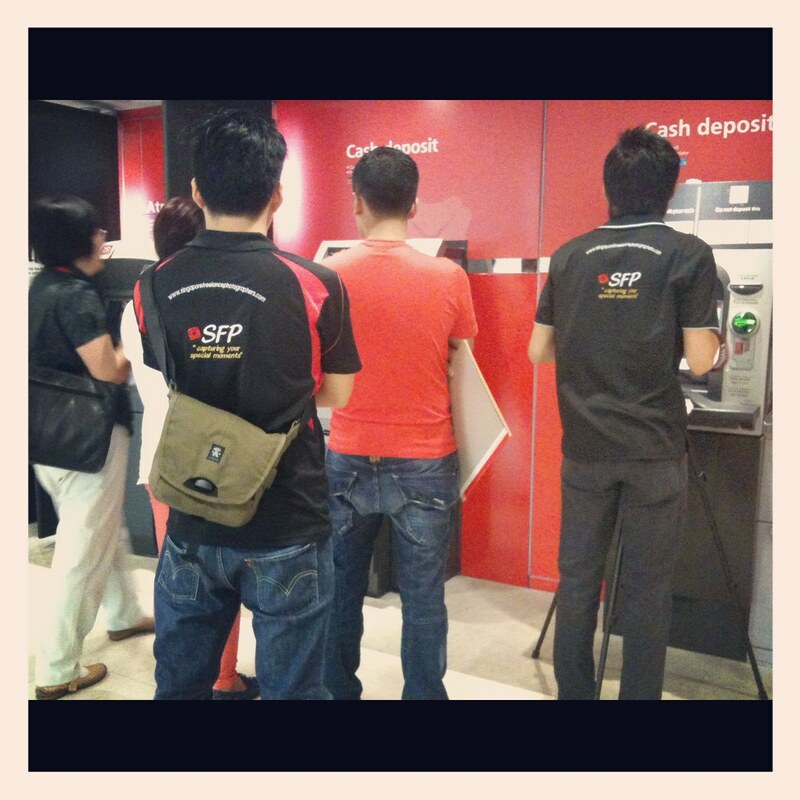 For the rest, this photo you see here is of an ATM of a pretty popular bank here. And they have machines EVERYWHERE island-wide. AND in that upper right hand corner, is a photo demonstrating how to use the machine..
And those are my hands. Yes, mine. Now let me backtrack a bit and explain how this all happened. Earlier in the year, I received an email asking me if I would like to be a hand model in a project. Apparently someone at the company follow AiClay and noticed my hands as I was always using them as reference pictures in the photos of my works. I was so surprised and tickled that I actually got a hand model job due to my photos, and I agreed to the project because.. why not! Side-note: I always have to photoshop my hands on AiClay photos by the way, because I have moles on them. I clarified this with the company, that urmm my hands aren't really flawless. But they were okay with this, and still took me on for the project, go figure! This is a photo I managed to snap during the few hours of travelling around Singapore shooting at various machines. There was a whole team of 5 people just shooting my hands, pretty amazing since I only expected ONE photographer maybe. It wasn't super easy to pose for these photos, since there were quite a few requirements that you wouldn't even think of! Like how my fingers should rest naturally, and how I can't block the numbers on the keypad, etc. Cool, it's interesting to know that.